Previously published as After the Flood. Former RAF Tornado Navigator and Gulf War veteran John Nichol sets out on a personal journey to discover what happened to 617 Squadron after the flood. 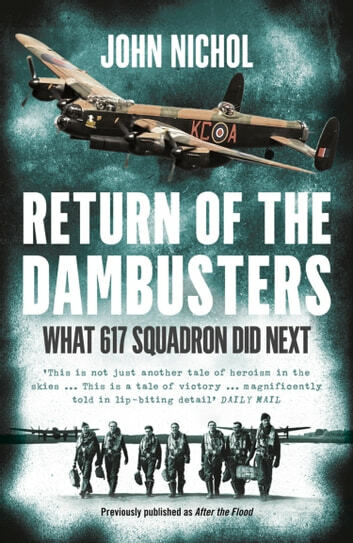 The role RAF 617 Squadron in the destruction of the dams at the heart of the industrial Ruhr has been celebrated in book, magazine and film for more than seventy years. On the 17th May 1943, 133 airmen set out in 19 Lancasters to destroy the Möhne, Eder and Sorpe dams. 56 of them did not return. Despite these catastrophic losses, the raid became an enormous propaganda triumph. The survivors were feted as heroes and became celebrities of their time. They had been brought together for one specific task – so what happened next? Of the 77 men who made it home from that raid, 32 would lose their lives later in the war and only 45 survived to see the victory for which they fought. 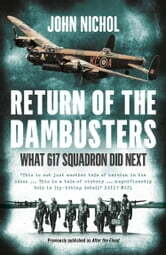 Few are aware of the extent of the Dambuster squadron’s operations after the Dams Raid. They became the ‘go to’ squadron for specialist precision attacks, dropping the largest bombs ever built on battleships, railway bridges, secret weapon establishments, rockets sites and U-boat construction pens. They were involved in attempts on the lives of enemy leaders, both Hitler and Mussolini, created a ‘false fleet’ on D-day which fooled the Germans, and knocked out a German super gun which would have rained 600 shells an hour on London. In ‘After The Flood’, John Nichol retraces the path of 617 Squadron’s most dangerous sorties as their reputation called them into action again and again.